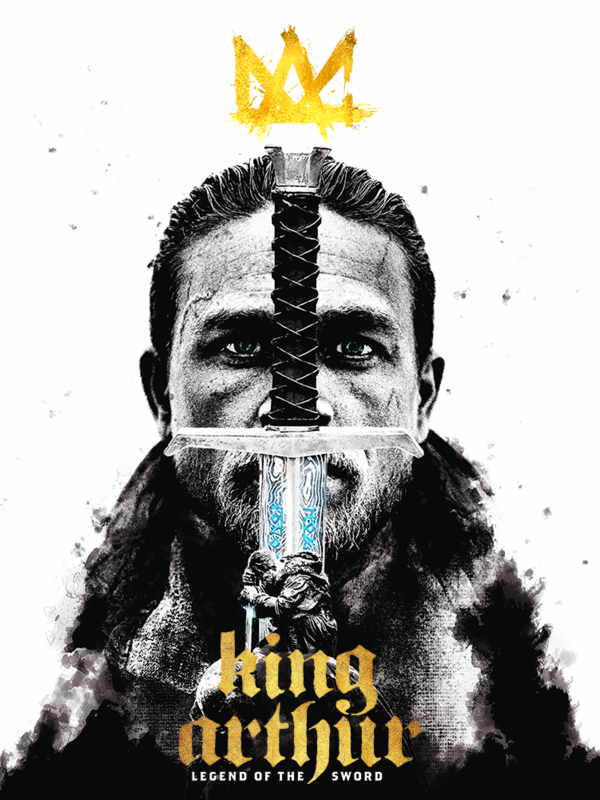 New alt poster designed for King Arthur: Legend of the Sword. I think it’s a very underrated movie… it’s true that the argument and story are overused but in my opinion, it’s very innovative. I loved the CGI, some camera shots, the colours, landscapes, costumes and the soundtrack is simply amazing. This is my small tribute to this fantastic film, with the 3 more important elements of the story; Arthur, his crown and Excalibur. In the composition, I wanted to express the idea of Arthur being king when he took the sword Excalibur. I hope you like it!